Many climbers are turning to carabiners that meet the ANSI z359 standard for Fall Arrest Systems. 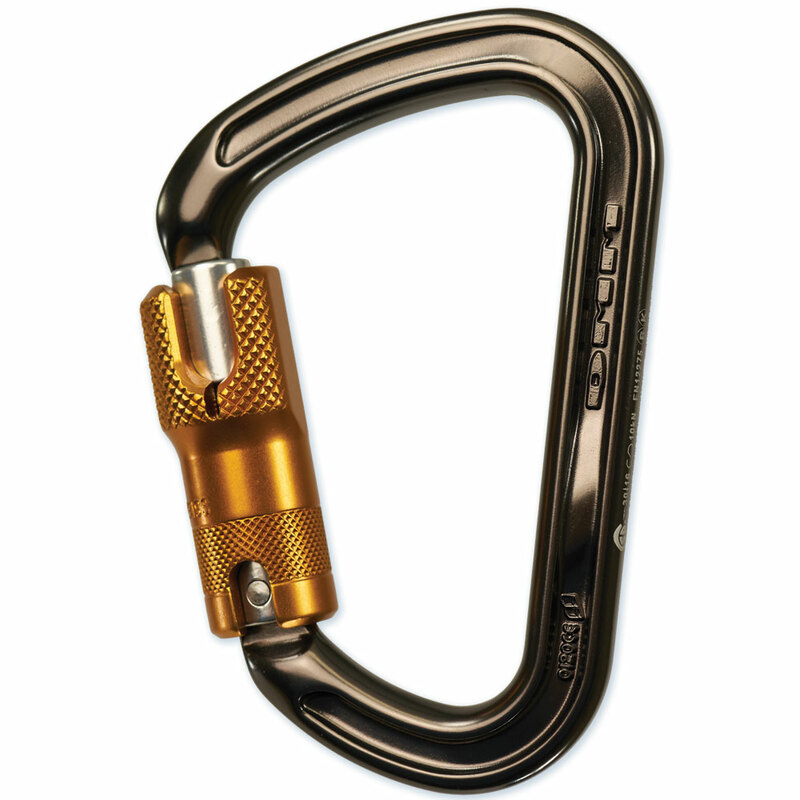 This standard puts a minimum strength requirement on all axes of the carabiner, including when side-loaded. This minimum rating msut meet or exceed 3,600 lbs (16 kN). The carabiner and gate must have this rating marked, and the body must have this rating and the minor axis load rating. Klettersteig carabiner's wide gate opening and long flat basket make it ideal for clipping webbing and for use in complex rope-running applications. The expanded D shape also keeps the load along the major axis maximising strength. Large size makes it easy to use with gloved hands. ANSI Locksafe gate gives extra security in complex rigging systems such as those featuring running ropes and remote anchors. ANSI Locksafe gates rate to a minimum 16kN in minor axis, side loading and gate face loading tests, and conform to ANSI Z359.12 (2009).